Organized by Lure Nails, India’s Nailinar was held in New Delhi June 6-7. The event featured interaction with international nail art experts, trainings, demos, and a live show. Participants were offered hands-on training in products including the Cuccio Pro dipping systems. The nail show featured Mrs. India contestants modeling nail designs on the runway. The seven Indian nail designers featured team Lure and Cuccio educators. 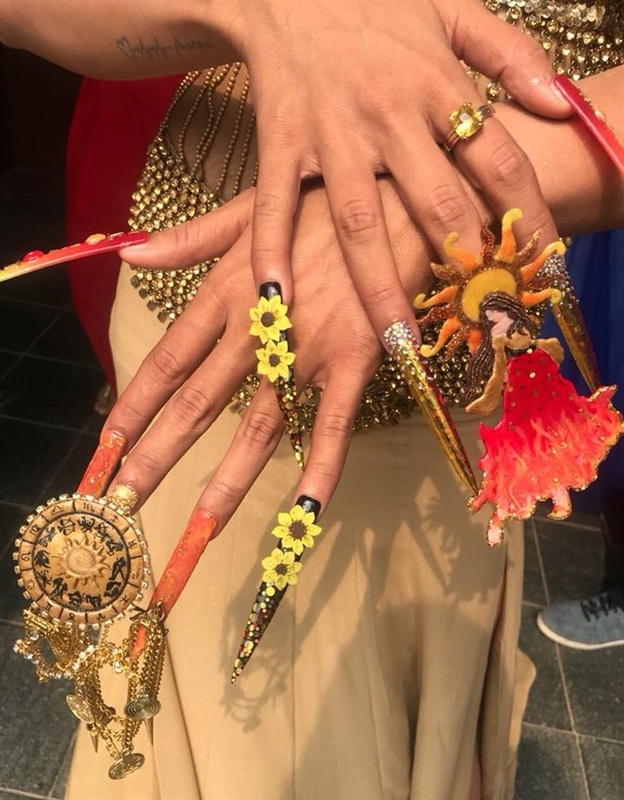 Nail artist and Cuccio educator Anubhooti Khanna designed showstopper nails with the theme Sun Goddess. For more information about Nailinar, go to www.lurenails.com/nailinar.